My productivity continues after a great First Friday Night Sew-In experience. 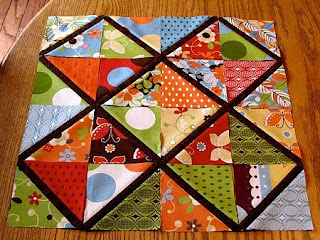 While I was browsing quilting blogs the other day I came across this quilt (and really nice tutorial) by Burgundy Buttons. So rather than finish the binding on pink and chocolate quilt, I decided to start another project. I used a layer cake of the Freebird line by MoMo for Moda. Here's what I have done so far! 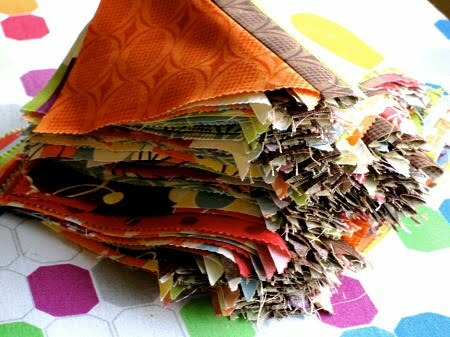 these scraps are too pretty! The pattern calls for brown sashing between each 4.5" square. But I think I like the way it looks now better. What do you think?? I love it! I agree. 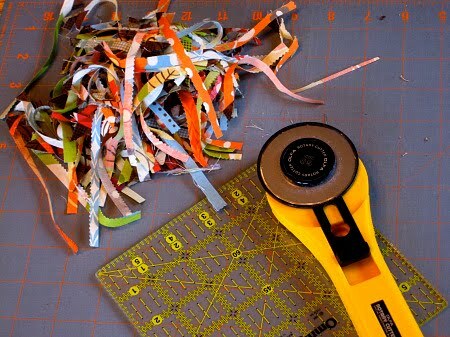 No more sashing needed.